The Gio GSR105EX-MOL from Ibanez is a no-frills 5-string bass with a mahogany body, 1-piece maple neck, and a PPD5 pickup with Tone knob for dialing in your sound. Body: Mahogany. Neck Type: 1-piece GSR5 Maple. The Ibanez GSR100EX bass gives you the fat and punchy tone you demand plus excellent playability — all for an amazing low price. You'll also dig the feel of its slim-profile maple neck that gives you an excellent balance of speed and playing comfort while providing plenty of sustain. This bass plays as good if not better than new. The neck is straight, intonation is on point and the action is set at a comfortable height. Great condition other than missing the strap button. See photos for details. Everyone that buys from us will receive a review within a week. Smoke and pet free house. Neck Material: Maple. - Construction: Humbucking/Passive. - Model No: STD P. Neck Pickup - Magnet: Ceramic. - Construction: Single/Passive. - Model No: STD J. Bridge Pickup. Ibanez Gio SoundGear GSR200 Electric Bass Guitar - Trans Red. Condition is Used. Shipped with USPS Parcel Select Ground. Trending at $136.66eBay determines this price through a machine learned model of the product's sale prices within the last 90 days. IBANEZ GIO SOUNDGEAR GSR100 BASS GUITAR. IBANEZ GIO SOUNDGEAR GSR100 BASS GUITAR, GOOD CONDITION. OTHERWISE, PLAYS WELL, SOUNDS GREAT. A FINE, AFFORDABLE BASS GUITAR. WEIGHS 6 LBS, 7OZ. The Ibanez GSR105EX 5-string bass gives you the fat and punchy tone you demand plus excellent playability - all for an amazing low price. You'll also dig the feel of its slim-profile maple neck that gives you an excellent balance of speed and playing comfort while providing plenty of sustain. The Gio GSR from Ibanez is a no-frills 5-string bass with a basswood body, 1-piece maple neck, and a PPD5 pickup with Tone knob for dialing in your sound. The Ibanez Gio SR 5-string bass gives you stunning looks, fat, punchy tone, and amazing playability. The Gio GSR105EX from Ibanez is a no-frills 5-string bass with a basswood body, 1-piece maple neck, and a PPD5 pickup with Tone knob for dialing in your sound. Bridge: B15 bridge (16.5mm string spacing). The Ibanez GSR200B Bass gives you stunning looks, fat, punchy tone, and amazing playability. The active Phat II bass boost also adds girth to your sound. Keep the band grooving all night long with the Ibanez GSR200B Bass. Ibanez GSR200SMNGT GIO - Spalted Maple Top Natural Grey Burst. Also, you'll find that this bass's contoured shape and slim neck profile provide you with amazing comfort and playability. With this Ibanez GIO GSR200SM electric bass guitar in your hands, you'll keep the band grooving all night long. Ibanez GSR200SMCNB GIO - Spalted Maple Top Charcoal Brown Burst. The Ibanez GSR200SM Bass gives you stunning looks, fat, punchy tone, and amazing playability. Keep the band grooving all night long with the Ibanez GSR200SM Bass. Phat II EQ with active bass boost lets you dial in the tone you demand. DXH-5N neck and DXH-5B bridge humbuckers serve up classic fat, punchy tone. An amazingly affordable way to get into playing 6-string bass. Jatoba has a reddish brown color which produces a rich mid range with a crisp high end. The Music Farm is an Authorized Ibanez Dealer. The guitar pictured is the actual guitar you will receive! Snare Drum Size. Sheet Music. Phat II EQ. Bridge: B16 bridge (16.5mm string spacing). Scale: 34" (864mm). EQ: 1 x Phat II EQ. Equalizer: Phat II EQ. Bridge Pickup: DXH-6B. Neck Pickup: DXH-6N. You'll particularly appreciate the contour of its slim-profile maple neck that gives you an excellent combination of speed and stability plus plenty of sustain. If you're ready to step up to a serious 6-string bass, then you're ready for an Ibanez GSR206 bass. Is it too big?. Keep the band thumping all night long with the Ibanez GSR200 Bass. Sweetwater is an Authorized Ibanez Dealer. Ibanez GSR200 Bass Features at a Glance Put out the low end all night long with the Ibanez GSR200 Bass. Is your bass too heavy?. Is it too big?. Keep the band thumping all night long with the Ibanez GSR200 Bass. Sweetwater is an Authorized Ibanez Dealer. Ibanez GSR200 Bass Features at a Glance Put out the low end all night long with the Ibanez GSR200 Bass. A bass doesn't have to cost a bundle to sound good. The GSR200 4-String Bass is a great full size bass with nice balance and feel for a very friendly price. Ibanez Gio GSR200TR 4-String Electric Bass, Trans Red. Ibanez GSR200 PW GIO SR 4-String Bass Guitar Bundle Pearl White. Call us if you need further assistance. For more than 30 years, Ibanez Soundgear series have given bass players a modern alternative. With its continued popularity, Ibanez is constantly endeavoring to answer the wider needs of a variety of players, at a variety of budgets. Bridge B10 bridge (19mm string spacing). Scale : 864mm/34". FREQUENCY RESPONSE. Radius : 305mmR. d : Thickness 22mm at 12F. c : Thickness 21mm at 1F. b : Width 62mm at 22F. a : Width 41mm at NUT. A guitar doesn't have to cost a bundle to sound good. Bridge: B10 bridge. b: Width at Last Fret: 62mm. Fretboard: Rosewood fretboard w/ White dot inlay. YOUR BEST SOURCE FOR PRO AUDIO GEAR. Number of frets: 22. GSR206SMNGT Electric Bass Guitar. Double Cutaway. Body Shape. Number of Strings. Right Handed. Right / Left Handed. 5-String or More. 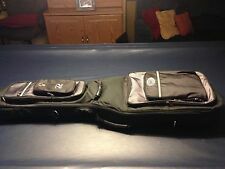 Ibanez Gio Soundgear Bass Guitar GSR200. Made in 2005 in Indonesia. • Actual Images of item are shown. Ibanez GSR200BK GIO - Black. Is your bass too heavy?. Is it too big?. Keep the band thumping all night long with the Ibanez GSR200 Bass. Sweetwater is an Authorized Ibanez Dealer. Ibanez GSR200 Bass Features at a Glance. Ibanez GSR200 SDL Gio 4-String Electric Bass - Soda Blue. Body: Poplar body. Neck type: GSR4 Maple neck. Bridge: B10 bridge (19mm string spacing). Bridge pickup: Dynamix J bridge pickup (Passive). Neck pickup: Dynamix P neck pickup (Passive). The Ibanez GSR205B 5-string bass gives you stunning looks, fat, punchy tone, and amazing playability. It sports a compact mahogany body and a slim neck profile that gives you impressive playing comfort and speed. Here is a used (with player's wear) 2001 Ibanez GRS200 Gio Sound Gear Electric Bass Black Gloss & Rosewood Fretboard. Pickup configuaration (PJ precision / jazz). NOTE: In addition to the player's wear - the body of this bass was distressed (slightly surface sanded / scratched) by the previous owned. Ibanez GSR205DVM 5-String Electric Bass Guitar. Ibanez GSR206 6-String Electric Bass Guitar Black. A guitar doesn't have to cost a bundle to sound good. Step up to the 6-stringed versatility of the GSR206—order now. New Gear: If you’re not satisfied, neither are we. It’s that simple. Check-Out Now! The Gio Gsr105Ex from Ibanez is a no-frills 5-string bass with a basswood body, 1-piece maple neck, and a Ppd5 pickup with Tone knob for dialing in your sound. The Ibanez GSR200 Bass gives you stunning looks, fat, punchy tone, and amazing playability. It sports a compact mahogany body and a slim neck profile that gives you impressive playing comfort and speed. Lef-handed Ibanez Soundgear Gio, used condition, new Ernie Ball Slinky 50, 70, 85, 105 bass strings, 22-fret, 4-string. Tested and working with an amp.